Search Engine Marketing is an online advertisement platform for your company. Even if its a big or small firm, we will provide you better assistance. Search Engine Marketing is the process of gaining of website traffic by purchasing ads on search engines. 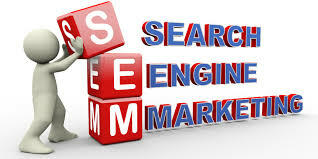 SEOzooms is a Search Engine Marketing company in Kerala providing SEM assistance. If you are in search of an appropriate marketing strategy for your business trust as. We are here to support you through the online advertisements and campaigns. As per client requirement seozooms will provide services in paid search engine marketing and Search engine optimization. SeoZooms is an experienced expert search engine marketing company Kerala. Our clients are from different business areas like Health & Gourmet, Clothing & Accessories,Computers & Stationery, Sports, Fitness & Outdoors, Cameras, Audio & Video,Beauty etc. Seozooms provides Search engine optimization providing best deliverable and quality to our clients. Search Engine Marketing is the process of gaining of website traffic by purchasing ads on search engines. 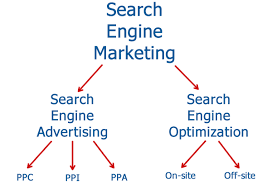 Search engine marketing includes search engine optimization and pay-per-click(PPC) advertising.